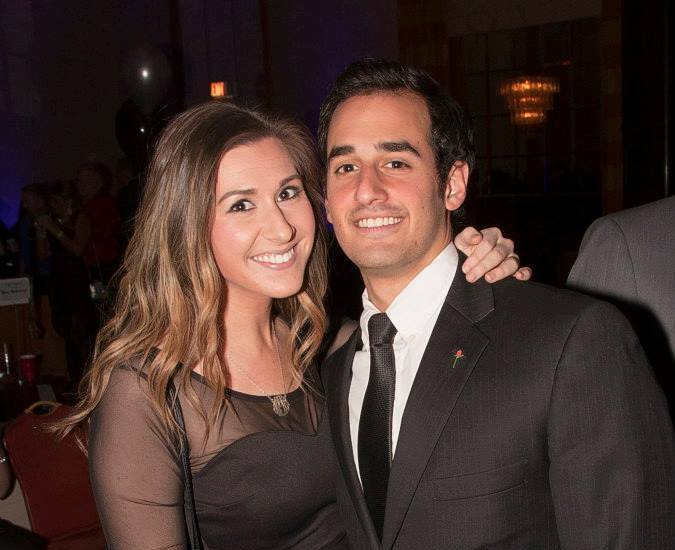 Join us at the biggest New Years Eve Party in Columbus! 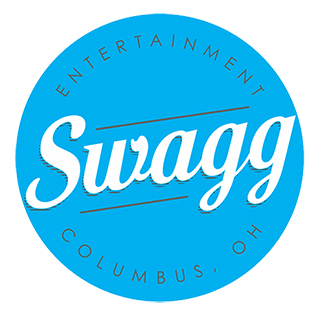 Last year was the first year for SWAGG to be to part of our entertainment and they did not disappoint. This band puts on a great show that appeals to everybody. We like to host a New Year’s Eve Party event that has a lot of energy and this band brings it. Their music lineup appeals to everybody and they will have the dance floor full all night long. 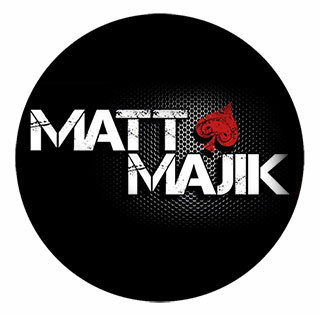 Matt Majik has literally performed in every major club in central Ohio because he knows how to energize a crowd. He has been a lead DJ at our events for over 10 years. Matt’s “Majik” taps into the vibe of the crowd and keeps our partygoers dancing well into the new year. Dj Chris Harris truly loves his music. He’s in his second year with our event and has a lot of passion for his craft. He recently played for the Lost Lands event which is a huge 3 day event at Legend Valley Music festival. 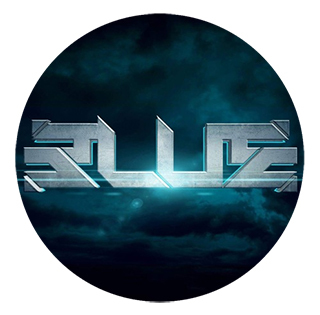 “Blue” is a producer/performance Dj with over 15 years experience in Big stage entertainment and production. Please take a minute to read this section — rooms must be booked directly with the hotel. 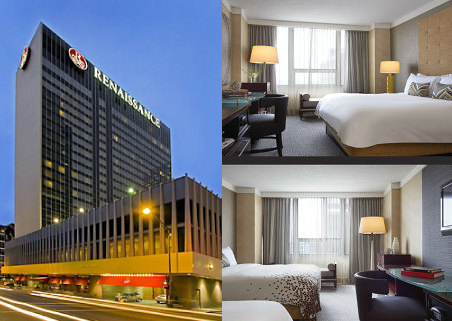 We have great room deals for our event guests at the Renaissance Columbus Hotel for the 2018-2019 celebration. Event Tickets do not include a hotel room; rooms must be booked directly with the hotel. Q: What do the different ticket rounds (1-3) mean? A: We have allotted a certain amount of tickets to each round so once a round sells out the next round of tickets goes on sale and the price goes up. We ofer this discount to those this who commit early so that they will let their friends know and help us spread the word. This means we don't spend money on TV or Radio advertising that would otherwise drive ticket prices up for everyone. Q: How many drinks per Drink Ticket? A: We have gone to the drink ticket system in which every event ticket includes 7 drink tickets. Each drink ticket is worth 1 alchohol drink which includes beer, wine, champagne or mixed spirit drink from the bar. Soda, tea, and other regular non-alcoholic drinks do not require drink tickets for any party guests. Additional drink tickets can be purchased at the event for $8 each, next to coat check. Drink tickets are same for GA and VIP guests, however access to VIP bars is only in the VIP area the liqour selection here includes more "premium" liqour options. Q: What type of Alcohol is served in the General Admission bar? A: The open bar will have quality brands including as Titos Vodka (UPGRADED FOR 2019), Beefeater, Bacardi, Jim Beam, Seagram, J&B, Budweiser/Bud Lite, Heineken, House Red, House White, Champagne or equivalents. Q: What type of Alcohol is served in the VIP bar? A: The VIP open bar will have "Premium" Brands as defined by The Columbus Renaissance Hotel to include Titos Vodka, Watershed Gins, Captain Morgan, Jack Daniels, Canadian Club, Johnny Walker Red, Budweiser, Bud Lite, Heineken, House Red, House White, Champagne or equivalent. Additionally there is a Craft Beer Bar Station in the back of the VIP foyer which will have a mix of IPAs, local brews and other beer options. Q: What is a “Non-Drinking” ticket mean for Ticket? A: For years we have had pregnant women, designated drivers, and other non-drinkers ask for a discounted ticket for those that do not needing drink tickets. We now have an option for the same General Admission or VIP Ticket without any drink tickets included. You will still be entitled to all the soda, tea and other regular non-alcoholic drinks which do not require “drink tickets” included for any guests, in addition to hors d’oeuvres, entertainment and all the other event festivities. There is no difference between these wristbands, if you change your mind once you get to the party, drink tickets will be for sale for $8 next to the coat check! Q: Are there Assigned Seats & Tables? A: No, the only assigned seating is for the reseved areas for groups of 10+ which are very limited. General Admission and VIP will both feature open seating however there is not nearly enough for everyone to sit down at the same time. Please sit when needing a rest, then get up and allow others to have the seats. With several rooms of entertainment there are lots of reasons to be up dancing and celebrating! Q: What's the Deal with the Singles Pre-Party and Singles Bar? A: For the 2019 party we added a completely optional red wristband guests could wear if they wanted to put out there they were single, just thought it would be fun. We ended up giving them all away and running out before 10pm, the response was great and people had fun with it. For this year we added some additional singles options in that there will be a Pre-Party Event more info to come. Q: What is the Lounge? A: Off the foyer by the elevators we added an additional smaller lounge which will have an additional bar as well as a live DJ creating a different vibe than the other 2 larger rooms of music. For 2019 we will open this room up to general admission and VIP guests! Q: When will I get my tickets? A: Your tickets can be downloaded immediately after purchase, and will be attached to your order confirmation email (PDF file). This will allow you to print all the tickets you purchased ahead of time. Tickets displayed on your mobile device will also be accepted. At the hotel you will provide your ticket and proof of ID (21 or older) to get a wristband for the party. The wristband station will be open several hours before the party to accommodate hotel guests. If you have questions about your tickets, please contact us below or e-mail us. Q: Someone else's name is on the ticket, can I use them? A: Yes, tickets can be given to friends, relatives, etc and they can use the ticket. This is simply for tracking and authentication purposes. Tickets will be scanned at the door for validity and of course can only be used once. You will need a valid ID that says you are over 21 but it does not need to match the name on the ticket. Q: Can I get a refund of my ticket purchase? A: Ticket refunds are available through our ticket service EventBrite until 7 days prior to the event. All sales after are final after that point. Q: How many people will be at the party? A: For 2018-2019 there will be roughly 1200 tickets sold and we expect the event to sell out early. In the past we have sold out the same event in this space with over 2000 guests (which was too many). We think this size group will be ideal for the best possible time for our friends, their friends and their friend's friends. Q: Will there be long lines for the bars? A: Unfortunately we cannot guarantee "short lines" and with any bar there can typically be a line. This year, we took extra steps to improve the situation from previous years including an additional hour of bar service (opens at 8:30pm in foyer), improved guest/bartender ratios and limited the size of the party. A: Dress to impress. It is a holiday event, so attire is dressy. Jeans would be out of place. Q: What type of food is included? A: There will be food from 8:30–10:30pm at the event but is limited to various types of Hors d'oeuvres and finger food. VIP will have some additional options for hors d'oeuvres in the VIP area during this time. At 1 AM, the hotel opens a pizza stand (priced per slice or pie) available to all guests in foyer. For VIP guests, there will be complimentary pizza at 1 AM. The Renaissance does a very nice job with the food but the event does not include a full meal. It is recommended that you eat a full dinner before the event. Q: What is the average age? A: The party is 21 and over only. No exceptions. Age range is between 21 and 40+. Q: What type of music is played? A: There will be a room for live music, we are featuring the band SWAGG this year who do a great job covering all you favoirtes! Both the other large room and the lounge will feature top local DJs playing Top 40, Hip Hop, Mash-ups and various other types of dance music. A: Yes, the hotel offers a discount for $20 overnight valet parking, but you must mention you are with the "niteMAGIC" group. The garage is limited on space so it will most likely fill up prior to the start of the event. We cannot guarantee parking. There may be additional parking available in the Statehouse Garage across Broad Street. Q: Can I buy tickets at the hotel? A: No, the hotel cannot provide tickets or detailed information on the event. This is a PRIVATE EVENT hosted at the hotel similar to a wedding or other private events and will direct you to this website for more information. Still have questions? No worries, send us a quick email nyepc@yahoo.com and we'll help you as soon as we can!